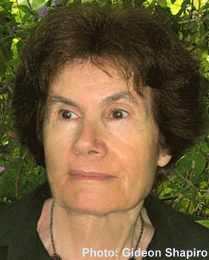 Edna Kremer was born in 1937 at Kibbutz Ein Hashofet, and is still a member of the kibbutz today. She studied education and literature at Oranim Teachers College, taught children's literature there, and has served as coordinator of the department as well as of its Center for Children's Literature. Kremer has also worked as an editor of children's books, as a translator, and has adapted plays for production by children. Kremer has published a number of books for children and received the Devorah Omer Prize for Lifetime Achievement (2015). Where Have the Shoes Gone?